We're here at the Great Escape to ride your Typical Boomerang. After climbing in the seat and pulling down the shoulder harness, you dispatch. Up the lift you go backwards. You get a pretty view of the park while going up the lift hill. And then, you drop. 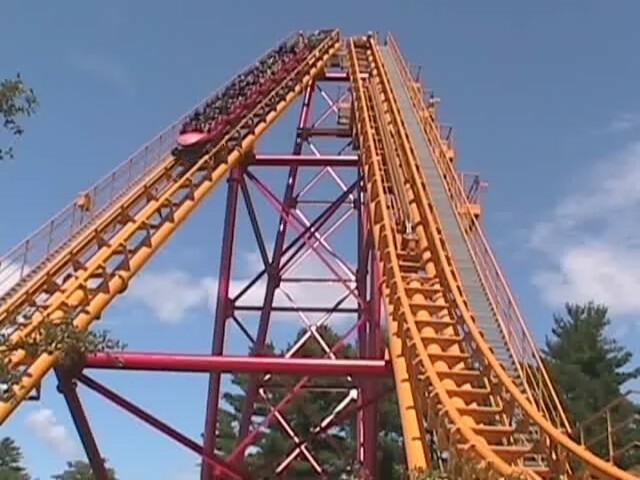 The drop is really fun and you get some nice speed. 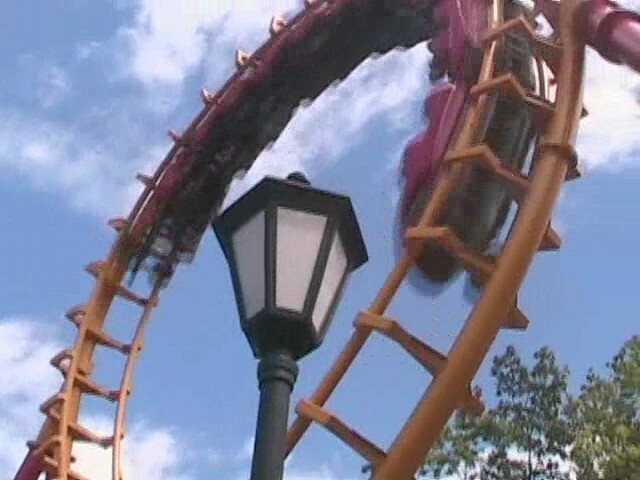 However, once you pull up into the sky as you enter the cobra roll, you brace yourself for the pain, but it's not there. It's actually a lot of fun. After you navigate your way through the cobra roll with only mild headbanging, you go into a loop. The loop is fun and it pulls quite alot of Gs. Then you climb up the second spike, as we climb up the second spike, you get a chance to recover, but then, you drop. Backwards you go. The loop is quite weird backwards. And then you go backwards into the cobra roll. You brace for pain, but it's not there. And finally, it is over, You glide into the station. I particularly like this Boomerang as this one is really smooth and fun. 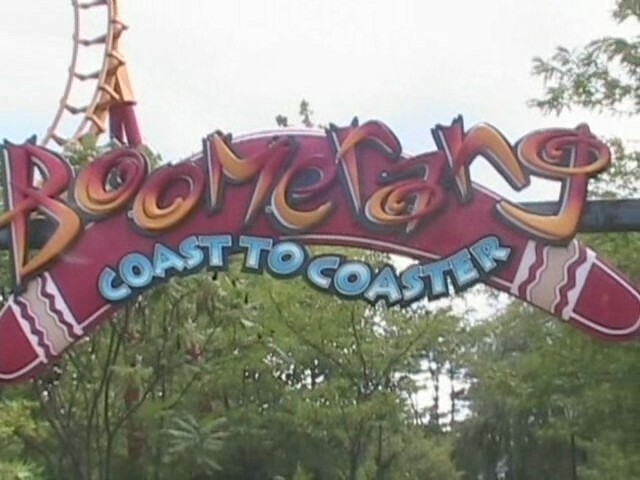 In fact, this is my Favorite Boomerang of all time (And not just because it's my 100th Coaster). If you have alot of time and there is a short wait, I'd recommend riding it.